So what will this February’s edition of Fashion Week hold in store for eager guests? Keep reading, as we break down what this latest iteration of Fashion Week is all about, give you some glimpses at the amazing events on the calendar, and fill you in on how to attend. What’s New for Fashion Week? If you want to stay abreast of all the events and developments, we recommend paying frequent visits to the official schedule. While it’s still tentative at this point, it will be updated, and as we draw closer to the big days and those event dates get locked down, you’ll definitely want to know all about it. Some of those events are industry-only, while others are open to the public at large (meaning you can snag yourself some tickets while they are available), and though we can’t cover every single happening on the calendar, we can draw attention to a few specific events you might want to keep in mind. Take the Art Hearts Fashion event, for instance, which will run from Friday, February 8th to Monday, February 11th. If you aren’t already familiar with the organization, we seriously recommend checking out their page, but to sum it up, they’re all about providing a platform for contemporary artists and designers. To that end, founder Erik Rosete has transformed Art Hearts into a grow this mission from humble roots to one of the “top platforms in the art & fashion community.” In addition to the spectacular runway show, you can expect art installations, celebrity guests, and goodies aplenty from this outfit. Then there are Fashion Week Events focused on worthy causes, like the Carol Galvin Foundation Official NYFW Women's Cancer Fundraising Gala. Taking place February 13th, this event will feature designs from the inimitable Irina Shabayeva (of Project Runway fame), and money raised by the event will go toward helping women who are battling cancer pay their bills. Complementing this worthy goal will be a brand new music video release from Meredith O'Connor and a spectacular rooftop afterparty to follow. These and many other riveting events are scheduled, so be sure to watch the calendar for news on what will be happening. If anything catches your eye and you’ve just got to get tickets, you can check out all of the open-to-the-public tickets on Fashion Week Online. Want More Fashion Week Information? If you want to take a deeper dive into NYFW 2019, there are a few sources you’ll want to keep your eye on. Fashion Week Online, for instance, has info on many of the popular designers who regularly frequent Fashion Week events. 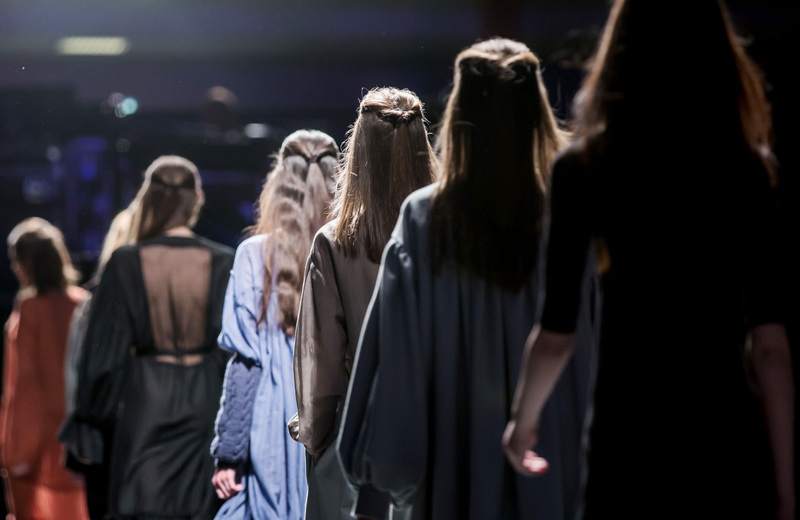 As NYFW starts to heat up, you’ll want to monitor outlets like Elle and Harper’s Bazaar for their coverage, and finally, the NYFW Runway Reporter has breakdowns on all the pertinent topics leading into and during Fashion Week 2019. You’ll find the lowdown on all sorts of “first looks,” pop up events, and more through their coverage, so be sure not to ignore it. New York Fashion Week 2019 is all set to be equal parts innovative and transformative. If fashion is your thing, this is one set of events you can’t afford to miss, so get those tickets early, and stay tuned for all the latest developments as February 8th draws ever closer. If you were commuting from afar, making your way to Fashion Week might seem something of a hassle, but when you’re living at premier city apartments like The Cole, all of Manhattan’s finest seems like it’s just a stone’s throw away. Open yourself to a new world of possibilities. See what The Cole has to offer you and experience New York City living the way it was truly meant to be.